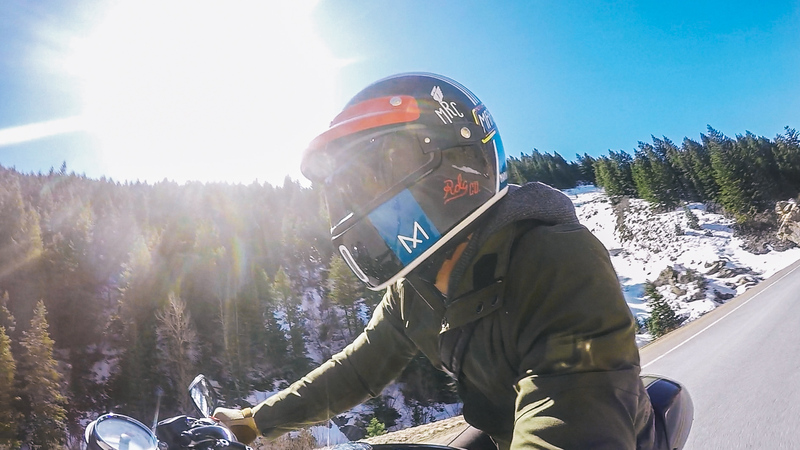 Best thing about being a blogger is that I get to say whatever I want, and this time I’m going to say that the X.G 100 helmets by NEXX are the BEST modern-retro helmets for 2016!!! For the longest time, Bell Bullitt dominated the premium modern-retro helmet segment (because it was the only one available), but suddenly out of nowhere, a Portuguese helmet maker, NEXX, collaborated with Maria Riding Company (like a Deus of Portugal) to create this awesome helmet. This X.G 100 helmet is part of the X.GARAGE collection, which comprises of two helmets: X.G100, which is the full-face lid, X.10 is a classic three-quarter helmet. I think this is the most appealing part about the helmet. Everything from the grilled chin vent, to the removable peak, and clip on goggle-like shield. 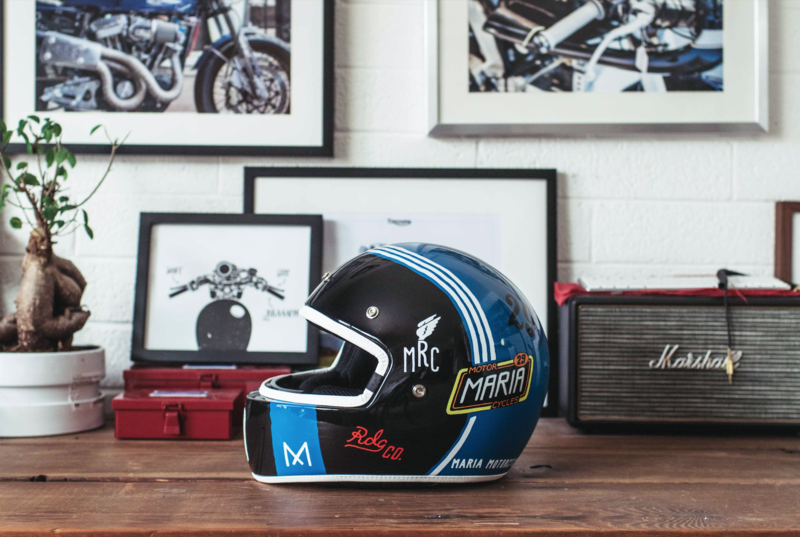 Color schemes of the helmets hark back to the helmets of the 60’s and 70’s, with the Special Maria versions presenting beautiful and playful custom-like graphics. All of the XG helmets with graphics look like they were custom painted, and I think my Muddy Hog design is the best one of the bunch. 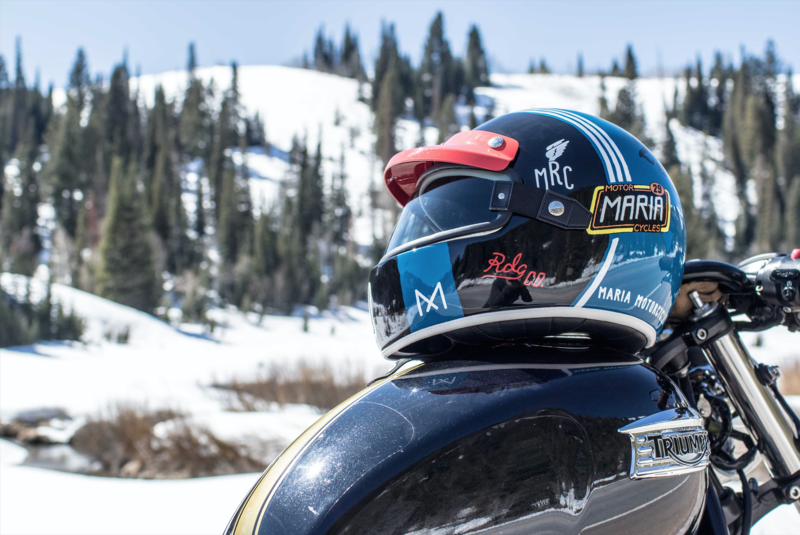 I love the loud Maria Riding Co.’s logos plastered all over the helmet, combined with pin stripes and retro blue and black color scheme. For those in the US, not all graphics are available yet. 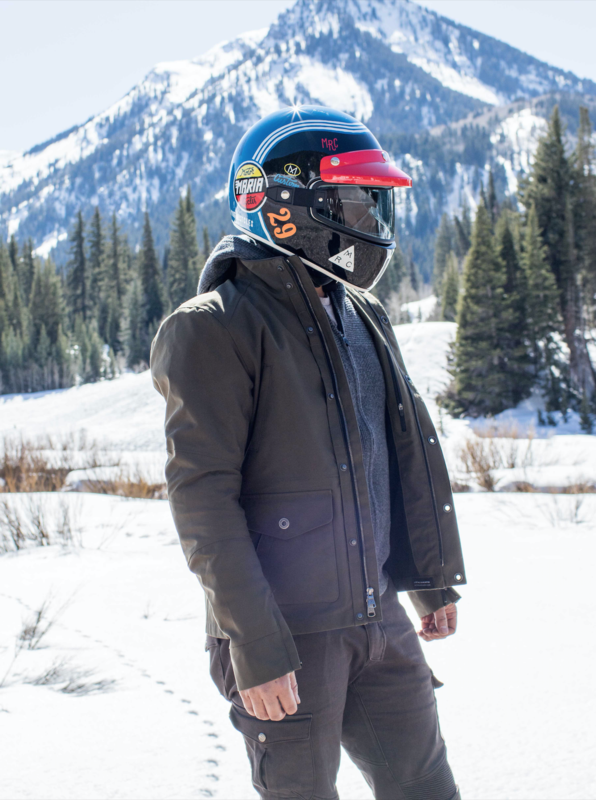 I say convertibility because the X.GARAGE helmet comes with add-on accessories that can customize its look in multiple ways. With your purchase, you’ll get a clip-on peak, and a clip-on tinted shield. The company also sells these accessories separately, consisting of 3 different colored peaks, and 6 variously tinted shields, but I believe these are not available in the US yet. 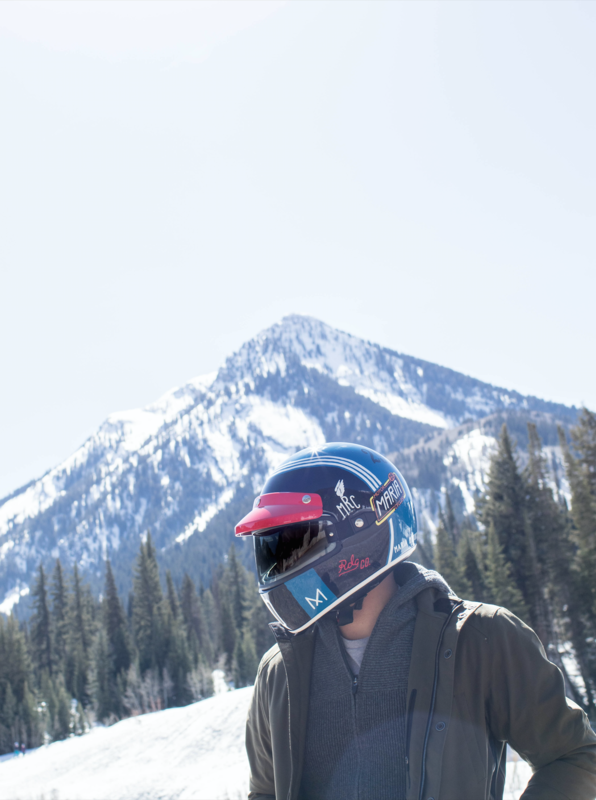 Through these accessories, your helmet can be converted into three different looks (the company doesn’t say this but I think the looks can be categorized into three): First, with both the peak and the shield attached, you get the look of a full retro-enduro helmet. 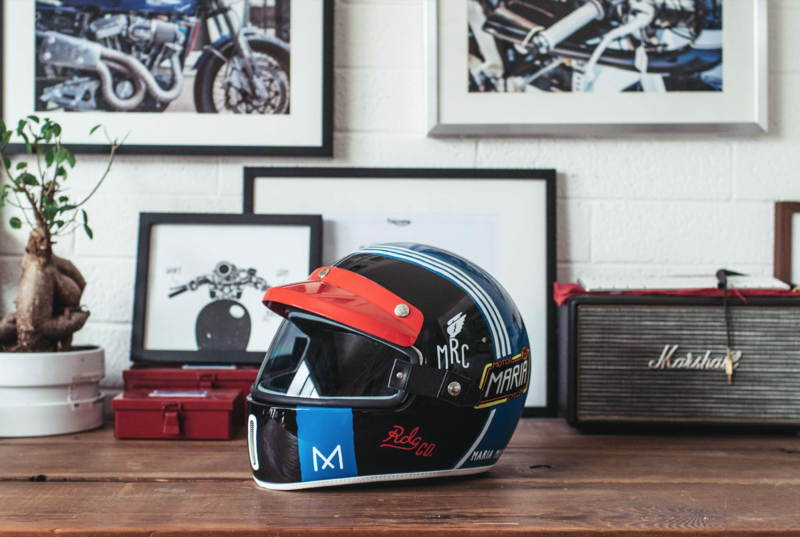 Second, by removing just the peak, the helmet then converts to a retro racing helmet look. Third, either with just the peak clipped on, or with all accessories removed, the helmet converts to a look of a retro dirt bike helmet. So for the price of one, you’re pretty much getting three helmets. Not a bad deal. 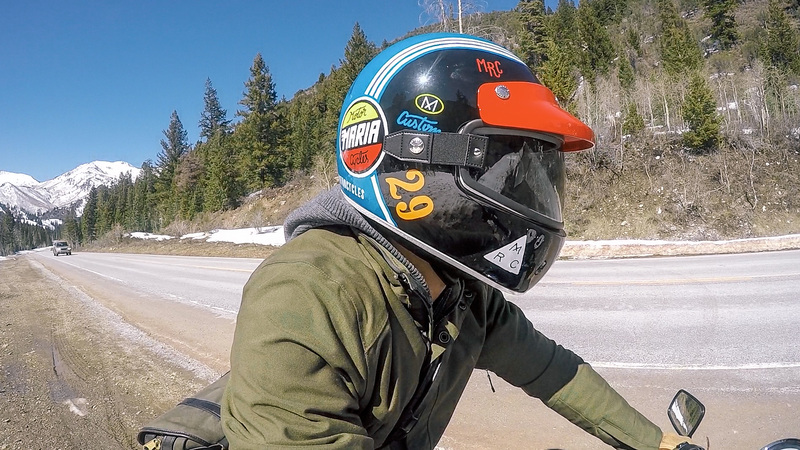 I’m a snug medium in pretty much all the helmets I own, and my X.G helmet wasn’t an exception. Although I don’t feel any pressure around my forehead, my cheeks are compressed enough for it to feel snug. So you should be find if you ordered your regular helmet size. If this is your first helmet, make sure you measure the circumference of your head, and use the sizing chart to determine your helmet size. Yes, this is a premium helmet but at the same time this is a modern-retro helmet so you’ll have to give up some practical features you’ll get from a premium expensive helmet. I think the biggest down side of the helmet is the clip-on shield, because it’s a clip-on shield. I don’t think it matters as much if you don’t wear optical glasses, but I do, so every time I have to wear/remove my helmet, I have to unclip the shield to remove/wear my glasses. Also, good luck when you have an itch on your nose, you wont be able to just raise your shield and pull it back down. However, without the peak on, you can slide the shield up to the forehead of the helmet, like you would with a goggle. The other day, I noticed that the shield would lift slightly and shift when looking left or right, going at high speed on the highway (+70mph/110kmh). This somehow doesn’t seem to happen when I have a peak on, but without it, I was a little surprised when I had to switch lanes. I’m not sure if this was intentional, but I get a constant stream of breeze through the top of the shield, and I think this would be great in the hot summer. Despite the ventilation and the breeze, I was pleasantly surprised on how quiet the helmet was with the shield on. I have such a terrible experience with whistling noise on my Bell Bullitt, so I expected some wind noise through the shield, but the pads do a really good job muting any noise. Finally, I was hoping I could use my riding goggles with this helmet, but you wont be able to. The slit in the helmet is a tad too narrow for a regular goggles (I have the 100% goggles) to fit. If you have one of those small vintage (swim goggle-like) goggles, you might be able to use it. Value of anything is very subjective, especially when it costs $350-$400. 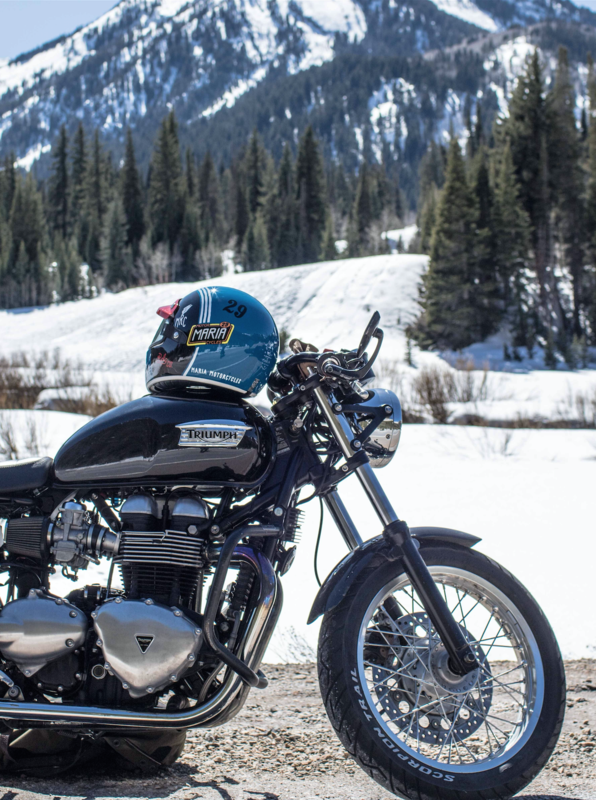 This is not a cheap helmet, but if you’re looking for a retro helmet with modern reliability, this is your helmet. The Bell Bullitt would be your only alternative at a similar price point, but it’s been around for a long time and everyone has one, so if you’re wanting to be different and something new and fresh, get the X.G 100. Great Review Thanks…. just need to try one for size. I wear a Bullitt in L, but its not a particularly tight fit. I wonder if I should go down to a medium. Did you find that the lining packed down as your wore it? I think you could, cause I feel like I have more space around my forehead in my XG compared to my Bullitt. But my cheeks are much more compressed on a XG than the Bullitt so that’s a tradeoff. Just make sure to measure your head and use the sizing chart as your primary guide. Ride safe! What is your apparel in the phoros? Which jackets are those? 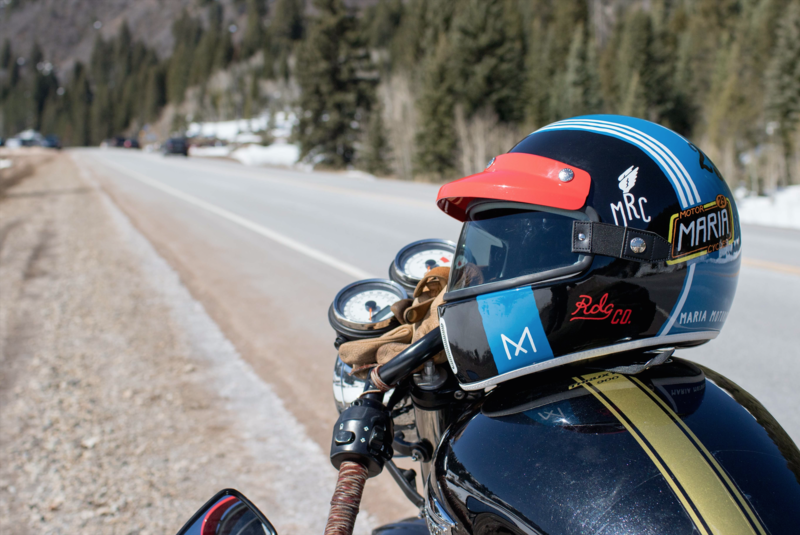 Thank you for your reply and your detailed review of the XG100 helmet. It’s been very helpful. Ride safe. I noticed that the helmet only comes in one shell size. Did the shell size seem appropriate or overly large for you. I’m not sure where you are looking, but the helmet actually comes in SM, MD, LG, and XL. I wear a comfortable medium for all my helmets, so medium in this helmet works great for me. He said shell size, not helmet size. 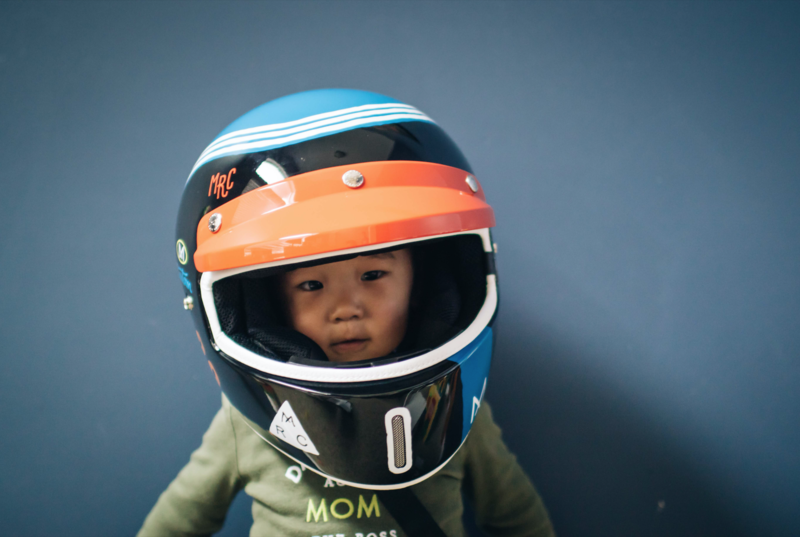 Many helmets come with different shell sizes, so the overall size of the helmet matches the size of your head. Others use a single shell size, and use thicker or thinner EPS liner to make up the difference. Did you not know that?